The concept here is a simple one. Instead of simply arpeggiating 1 -3 -5 -7 , we can getting into the upper structures of the chords. Utilizing 9ths, 11ths, 13ths. 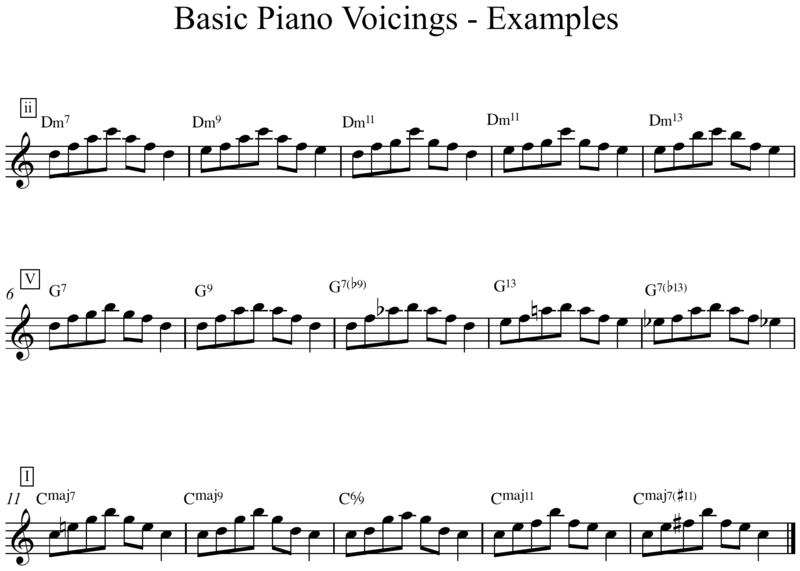 A way to do this is to take some simple piano voicings are arpeggiate them. Below is an example of 5 basic right hand piano voicings for each of the ii , V, and i chords. Start incorporating these arpeggieos into you solos. It is cool to think of you lines in terms of shape. “Arpeggiate” up -> “scale” down ->”scale” up -> You can do whatever you want! Also this is a very limited example of possible voicings. 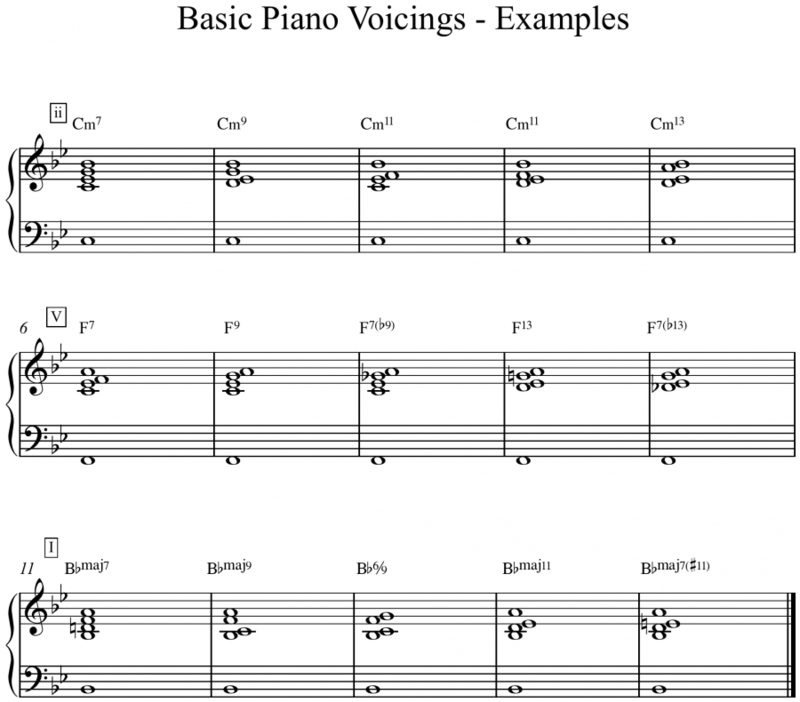 Start transcribing some piano players, and ask your piano player buddies to show you their “hip” voicings – they all have some! Ultimately I plan on expanding this lesson to cover way more so keep checking back. It is actually a cool and useful piece of info. I’m glad that you shared this useful information with us. Please keep us informed like this. Thanks for sharing.